Travel to the northwest side of Ireland and you will find a place called Sligo which means “Shelly River” in Gaelic. Sligo is the 12th largest city in Ireland as well as the 2nd largest city in the West. Sligo lies between the Benbulben and Knocknarea mountains and has the Atlantic Ocean on the West side and Lough Gill on the East and last but not least, the Ox Mountains is to the South. In the past 20 years, Sligo has made a lot of changes, building shopping centers and developing areas along the river, but still keeping the beauty and way of life that identify Sligo’s past. Sligo is known as Yeats County named after the famous poet William Butler Yeats who is buried at the Drumcliffe Church Yard. The Yeats Society runs the Yeats Memorial which was given to them around 50 years ago. You can listen to lectures and view the art gallery every summer. Parke Castle is another great place to see while in Ireland. Located on the shores of Lough Gill, this castle was built back in the 17th century. Robert Parkes and his family called this place home for many years. It has been restored and is open to the public for tours. Now if you’re needing a break on your tour of Sligo, you should really go to Rosses Point. Located just North out of Sligo you’ll find this quite little town over looking the ocean. The beach here is simply beautiful. You can also see a memorial to lost sailors. There are plenty of local restaurants with some good fish for your lunch. 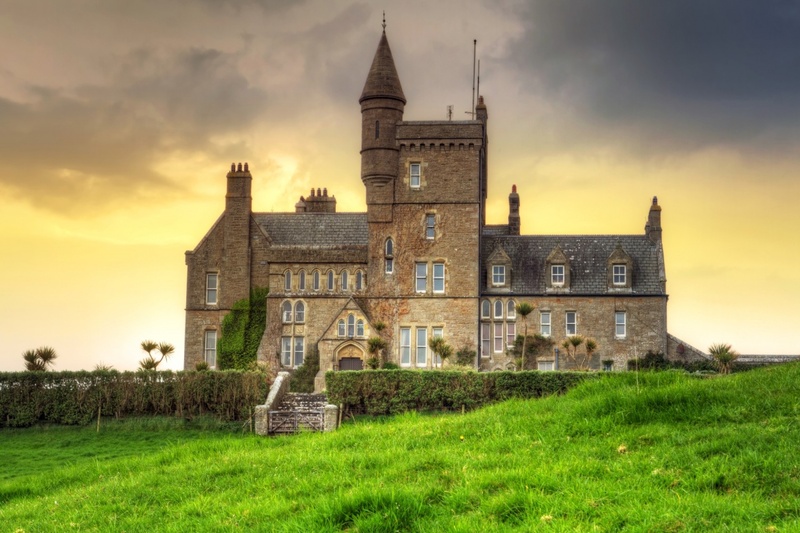 When you decide to come visit Ireland, the one must see place is got to be Lissadell House. There is so much history at this place and beauty here. Find information about selected Hotels, apartments and rooms in Sligo to choose the perfect place for your accommodation.